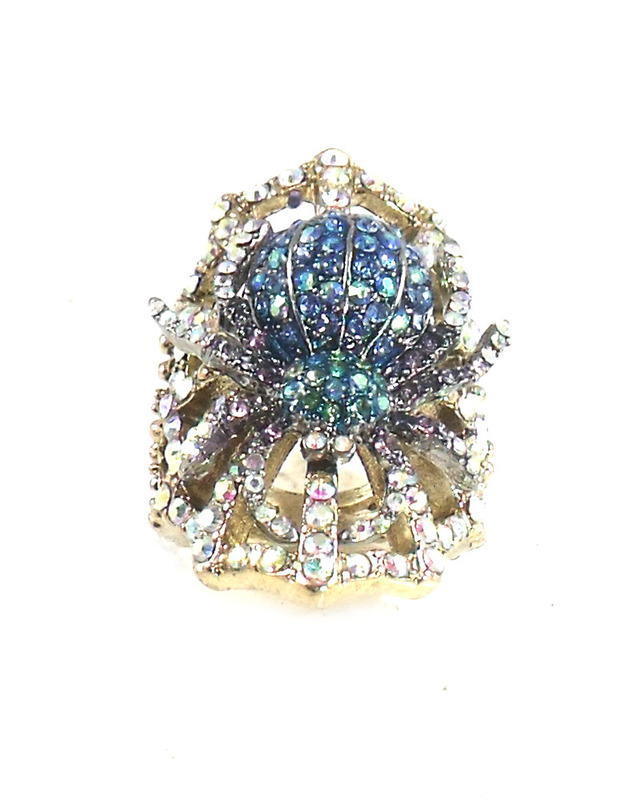 Betsey Johnson Jewelry Spider Luxe Pave Spider Ring Spider Luxe: This spider inspired collection is scary chic and glamorous! Featuring trendy silhouettes such as the y-neck and ear cuff, this group has beautiful colors and detailed stone work. Spider Luxe: This spider inspired collection is scary chic and glamorous! Featuring trendy silhouettes such as the y-neck and ear cuff, this group has beautiful colors and detailed stone work.